Polished 18kt yellow gold Twinlock crown. 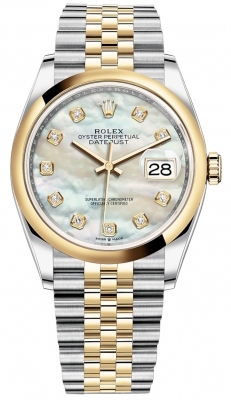 Polished 18kt yellow gold fluted bezel. 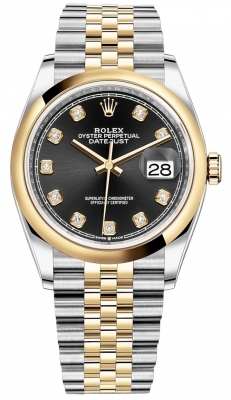 10 diamond hour markers with the Rolex Crown logo at the 12 o'clock position. Fine printed minutes/seconds track on the dial perimeter. 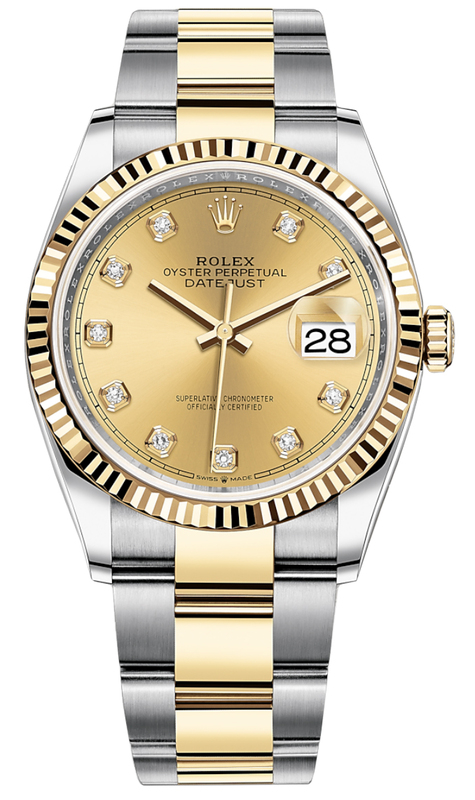 Rolex in-house caliber 3235, beats at 28,800 vph, contains 31 jewels & has an approximate power reserve of 70 hours. 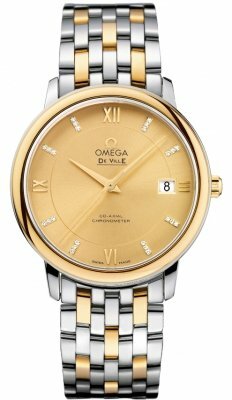 The movement features a Paramagnetic blue Parachrom hairspring, Chronergy escapement & high-performance Paraflex shock absorbers. 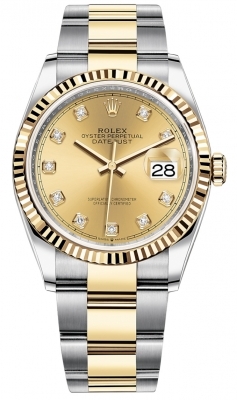 The watch is Superlative Chronometer certified: the movement is COSC certified prior to casing, then it is tested a second time by Rolex after being cased to ensure accuracy.